Clair is a 10 year old girl who finds adventure in the most unlikely place... a city landfill. With the help from her new and unusual friends, she soon discovers the importance of saving our planet by making better choices. 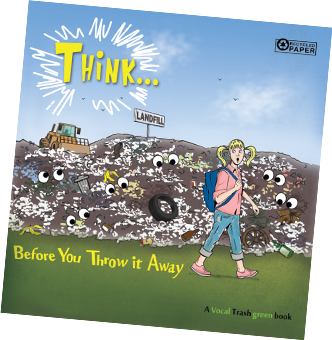 Eventually, Clair is able to convince her parents that trash not only has a voice, but should have a choice to its final destination. Her plan - To reach out to others by making music in harmony with the environment. we all learn to re-use, recycle and ultimately -THINK... before you throw it away. 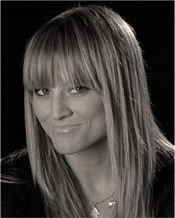 With electrifying energy and a golden voice, Kelsey has been wowing audiences all her life. This beautiful “triple threat” hails from Seattle where she first stepped on the stage at the tender age of five – as the spunky orphan Molly in the beloved Tony Award-winning musical Annie. It wasn't a “Hard-Knock Life” for Kelsey, rather a Hard-Work one as she went on to star in over 30 stage productions. Madison Avenue also came calling and she's appeared in over a dozen major television commercials. Kelsey says, “Being a part of this show has changed my life and I feel blessed to have the opportunity to help make a difference”. What a champ! • was honored to sing the National Anthem at a Seattle Seahawks game – a rare feat for an 11-year old. • turned down the Mickey Mouse Club (the same year as Britney Spears and Justin Timberlake) to pursue a role on Broadway in Gypsy. • is the choreography director for Vocal Trash. • has achieved inner peace through bikram yoga. • She is the creator of Vocal Trash's THINK Program.